The U.S. Treasury has announced that, with the final sale of its remaining stake in Chrysler, the loss to taxpayers is likely $1,300,000,000; a drop in the bucket compared to GM. That's a lot of zeros. 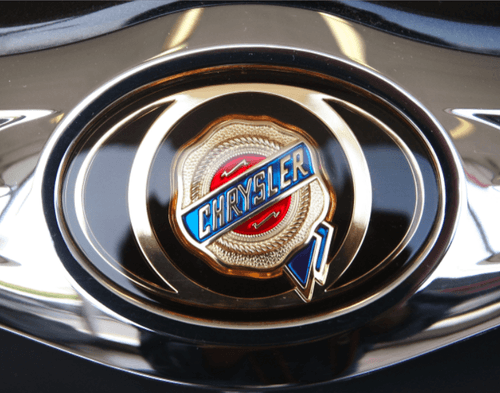 The government sold its remaining 6 percent stake in Chrysler to Italian owners Fiat, finishing off the 2009 bailout of the company that was part of its Troubled Asset Relief Program. Fiat managed to meet goals and buy the remainder of the government's shares as well as rights to shares held by the United Auto Workers retiree trust to gain a 53.5% controlling stake in Chrysler six years ahead of schedule. The money came from private capital Fiat raised in order to pay off the loans and clear the Chrysler name from the bailout stigma. The company paid a total of $11.2 billion, starting with $5.1 billion in May of 2011. The Treasury's stake was $12.5 billion, with most of the losses due to loan agreements based on longer-term payback and interest. Had Chrysler taken until 2017 to pay back the loans, as per the original agreement, then the Treasury would likely have broken even on the deal. Even at a $1.3 billion loss, however, the Treasury's assistant secretary for financial stability Tim Massad says the early buyout is a "major accomplishment" and that the government originally expected to lose much more in its bailout. The Congressional Budget Office in 2009 predicted a total loss of $40 billion between the Chrysler and General Motors bailouts. New estimates, after this repayment from Chrysler, put the total losses at $14,000,000,000 ($14B)overall. Which means the losses to GM will be over $10 billion. The government still owns about a third of the company, or approximately $16 billion worth. Special agreements made with the TARP program, however, would require the Treasury to sell shares to specific stakeholders at lower values, resulting in the expected $10-$12 billion loss. Still, according to Massad, the money is not the issue, but jobs are. In the years leading up to and during the bailouts themselves, the auto industry in America lost about 400,000 jobs. Since TARP, about 113,000 of those jobs have been restored. Doing straight math on a loss of $14 billion and a gain of 113,000 jobs says taxpayers spent $123,893,000 ($123.8M) per job recovered. This simplified assessment assumes only $14 billion is lost and that all of those 113,000 jobs were directly due to the bailout - many are not, obviously, since Ford, Toyota, Honda, and others that manufacture in the U.S. did not receive TARP funds. Taxpayers have bailed-out Chrysler twice now. I don't think we should have done it again! $1.3 billion is a lot in most people's books. Frankly, I don't believe that any of the companies should have been bailed out. Ford seems to have done fairly well on their own, and I believe that if the others had not had an easy out they would have dug in their heels and brought themselves out of the hole that they had dug for themselves.